Product prices and availability are accurate as of 2019-04-19 03:14:01 UTC and are subject to change. Any price and availability information displayed on http://www.amazon.co.uk/ at the time of purchase will apply to the purchase of this product. 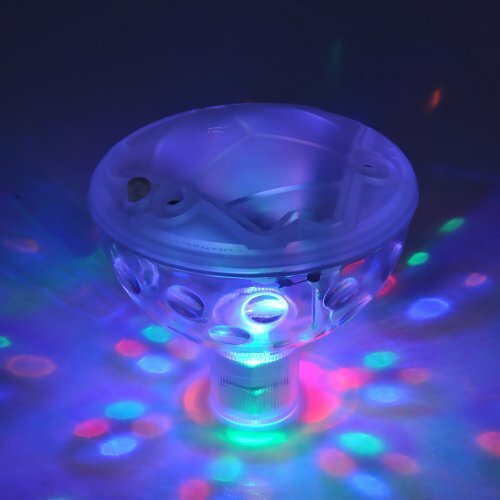 Drift this "disco" ball in the water or hang it inside to project vibrant, dancing lights all around. We simply turn the light show upside down and it dances the lights on the ceiling. Note: Batteries not included. ?Easy Turn On/Off?Press the boutton once to turn on,hold for 3seconds to turn off. 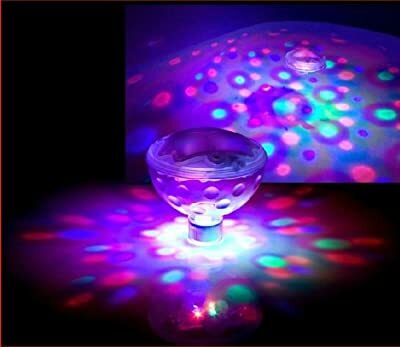 ?Easy to shift 5 Pattern Modes?Shift the light pattern by pressing on/off key on the top of underwater light. ?Easy Battery Insatllation?Loosen the screw on tha battery cover and insert 3 AAA batteries(not included), replace the lip and tighten the screw before use. 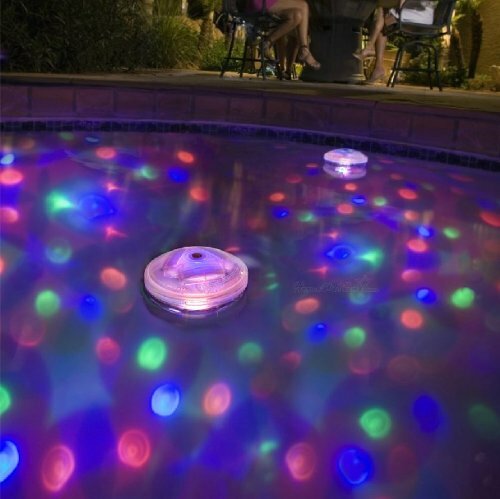 ?Attractive light Shows?Displays Five Different Light Shows In Your Pool. Note: Do not drop into the water long time when you don't use it. ?Easy to use?Choose Your Favorite By Pressing The Botton: 1/All Lights Flash Randomly, 2/All Lights Flash Together,3/Individual Lights Flash Randomly, 4/All Lights On, 5/Randomly Cycle All Shows.